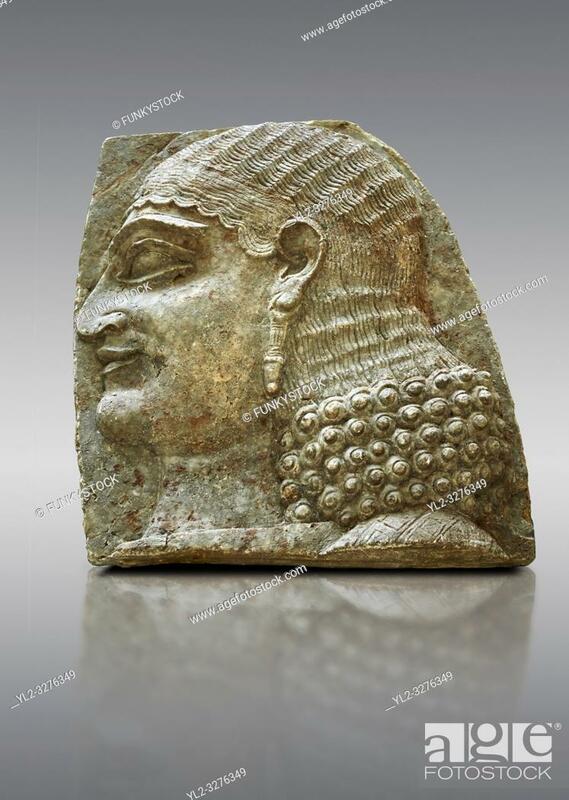 Foto de stock - Stone relief sculptured panel of a Servant. From the facade of the throne room, Inv AO 22196 from Dur Sharrukin the palace of Assyrian king Sargon II at Khorsabad, 713-706 BC ... . Louvre Museum Room 4 , Paris.